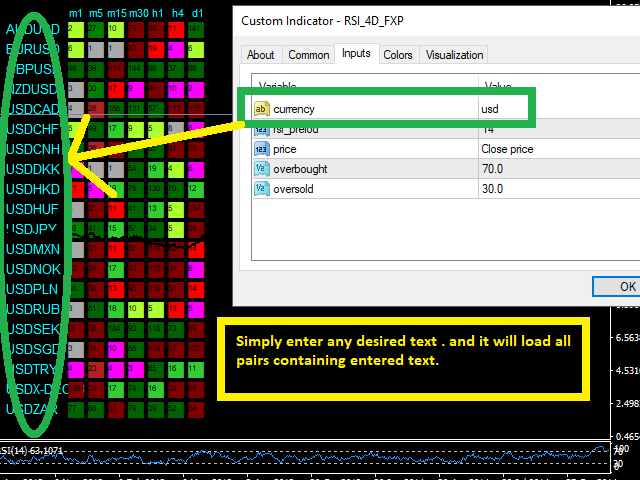 with this 4 dimensional RSI indicator you can visually get informed if there is any overbought or oversold situation in any time-frames and any currency-pairs you desire. 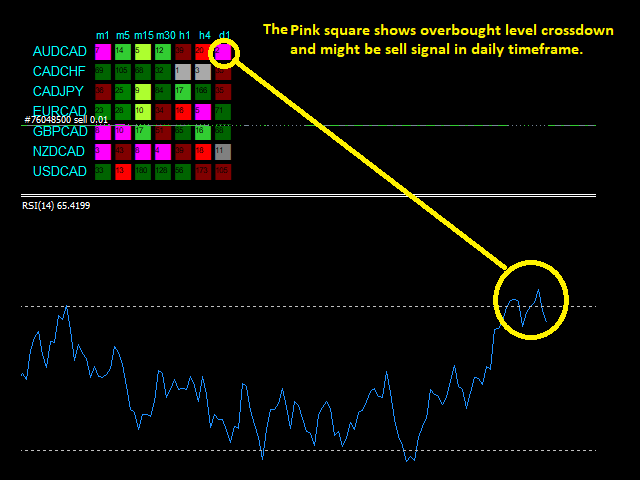 it has been designed based on overbought and oversold strategy. when RSI line cross down overbought level ,it might be a sell signal and the indicator will show this with a red square and when RSI line cross up the oversold level it might be a buy signal in the corresponding time frame and the indicator will show that with a green square. numbers in the squares show the number of candles passed from cross-up or cross-down . 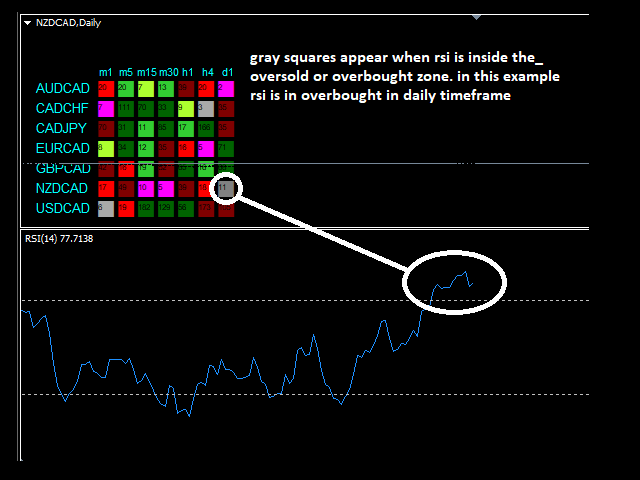 if RSI is absolutely in the overbought or oversold area , the corresponding square will be displayed in gray . 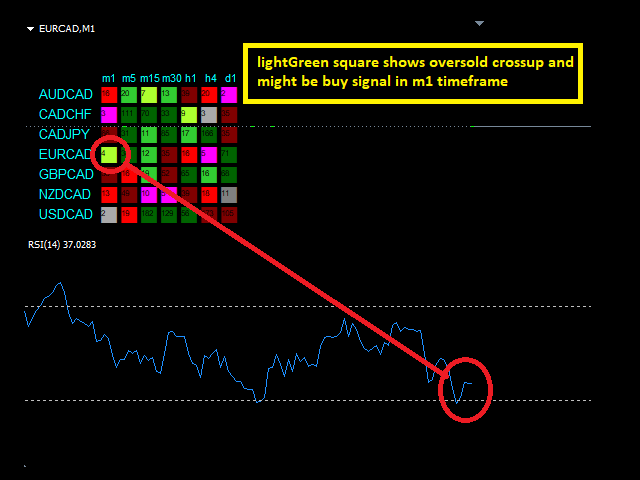 if buy signal is new it will be displayed in light green and if there is so many candles passed from the signal , the corresponding square will be displayed in dark green. and so for sell signal.